Jared Hughes pitched four innings and allowed just one earned run, but took the loss. One bad inning made the difference for the Tigers in a 6-4 loss at Monett. 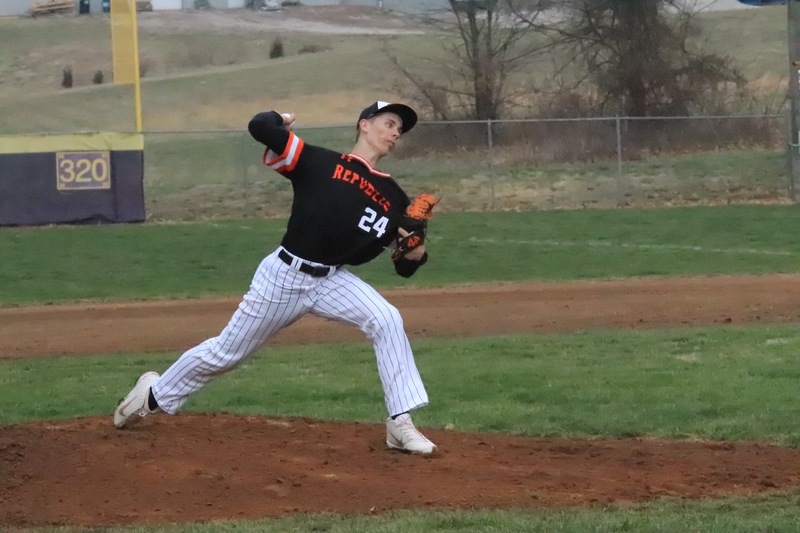 Republic led 3-1 when the Cubs exploded for five runs in the bottom of the fourth inning, and that was all Monett would need to notch the victory. Republic struck first in the top of the second inning when they loaded the bases with nobody out. They scored one run on a fielder’s choice and another on an infield error to take a 2-0 lead. Monett got a single run back in the bottom of the inning, but Republic answered with a run of its own in the top of the third. Tyler Cavener singled to lead off, Nick Rose walked, and Cavener eventually scored on a passed ball. After Monett’s five-run fifth, aided by a Republic error, the Tigers managed just one more run. In the top of the sixth, Jaden Duvall walked and scored on a single by Cavener. Cavener had two of Republic’s seven hits. He, Jacob Crosswhite, and Vincent Pyeatt each drove in a run for Republic. Republic struck out 12 times. Jared Hughes took the loss, pitching four innings and allowing six runs–but just one was earned. He struck out seven and walked four, allowing five hits. Pyeatt pitched two innings in relief, striking out two and allowing two hits.